A restaurant’s menu is often seen as the core of a restaurant, as it is connected to all other aspects within the restaurant. Moreover, a restaurant’s menu is one of the most effective marketing tools a restaurant has, for the dishes offered have the ability to bring in customers. Additionally, a restaurant’s menu influences many other aspects of the business. 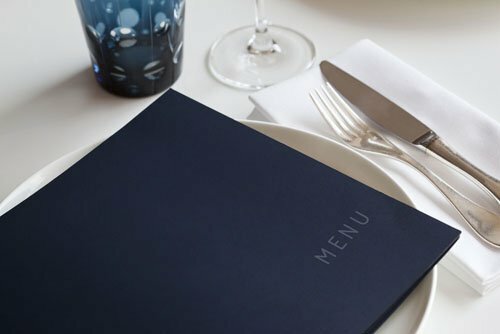 The items on the menu determine the restaurant’s prices, the equipment a restaurant needs, who to hire, and what food suppliers a restaurant will need. When it comes to updating and expanding your restaurant’s menu, it is important to get customer feedback. A customer’s opinion is crucial to this process, for they will alert to what dishes standout—both good and bad. Reach out to customers over social media, through email, and to those dining in your restaurant. Offer them a survey of your menu with questions detailing what items they love, what items they hate, and what items they would add. This feedback can surprise you, but will lead you in the right direction. Consider adding new categories to your menu, such as specialized desserts. Many restaurants offer a basic dessert menu, as they often believe their main dishes are their “cash cow,”so to speak. However, offering a specialized dessert menu can actually bring in more money, for more people are likely to purchase a dessert that is exciting or fun. Many trendy restaurants are introducing frozen yogurt machines into their restaurants, for they are unique, convenient, and full of delicious possibilities, which is a major selling point to customers. Consider an American manufactured frozen yogurt machine in order to appeal to those looking for lighter, more figure-friendly dessert menu options. If you are not ready to completely revamp your menu or introduce a new category, consider adding in a new dish as a daily special. Not only can you charge a bit more for a special, since it is not a typical menu item, specials also act as a marketing tool, for you can promote it over social media, with email marketing, and with a sign outside of the restaurant, garnering foot traffic attention. In order to appeal to those with allergies or special dietary restrictions, use the daily special to add in a healthy meal option. With today’s trend of healthy eating, adding in a heart-healthy menu, gluten-free options, or vegetarian options can appeal to a huge demographic. Plus, for the adventurous, creative chef, these dietary restrictions can be a fun challenge to experiment with in order to create a delicious dish. For most restaurant businesses, alcohol is one of the largest areas of revenue on their menu. If you do not serve alcohol in your restaurant, consider getting your restaurant liquor license, and adding it onto the menu, even if it just specialty wine or beer. For the restaurants that do offer alcohol, look into offering new seasonal drinks. During fall and winter, add new seasonal ales onto the menu, such as hard apple cider or a pumpkin ale. For the summer, look to add fruity cocktails, margaritas, and mojitos. In terms of traditional beverages, consider adding peppermint hot chocolate onto the menu for the holidays, holiday flavored milkshakes, and sweet teas for the spring and summer. A great way to bring new life back into your menu without having to completely overhaul it, is to have a menu specifically for special events. If you have an open mic night on the weekends or monthly poetry readings, consider offering a new menu for those hours. Keep the dishes simple, yet innovative, as to not overwhelm your staff, but between the event and the brand new menu, your restaurant could see substantial growth. The menu is a reflection of the restaurant, and expanding the menu offers your restaurant the ability to cater to new customers, as well as show off your restaurant’s creativity.